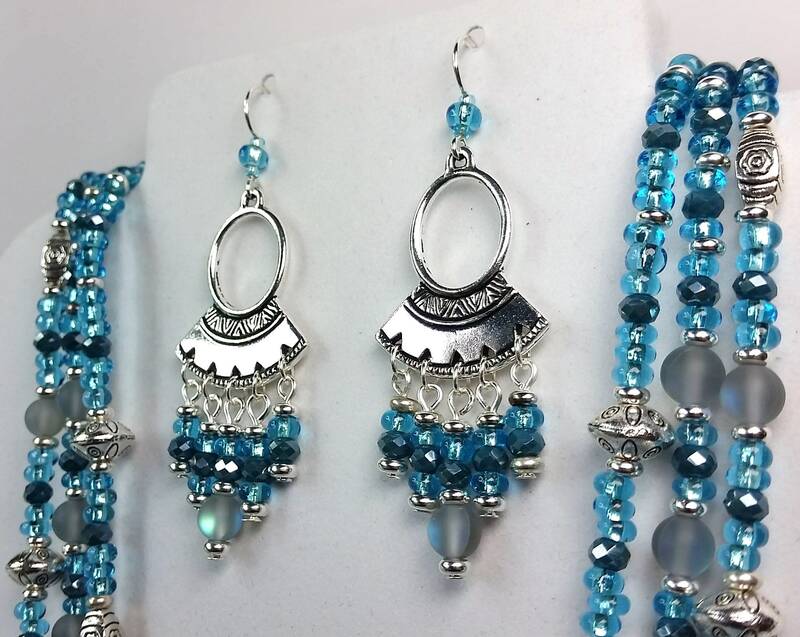 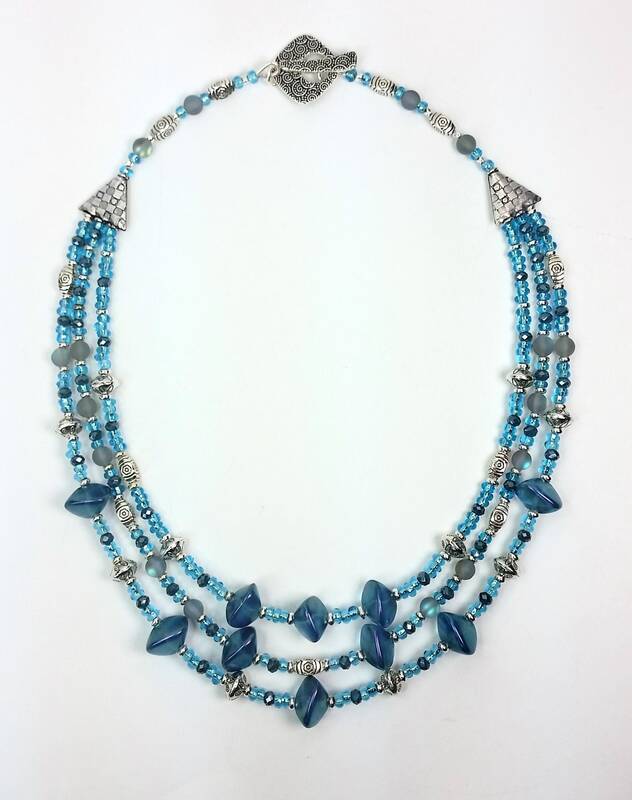 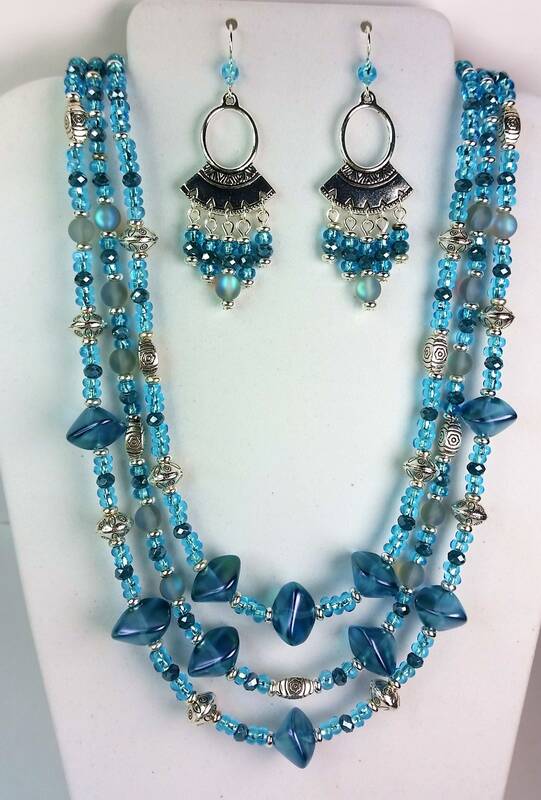 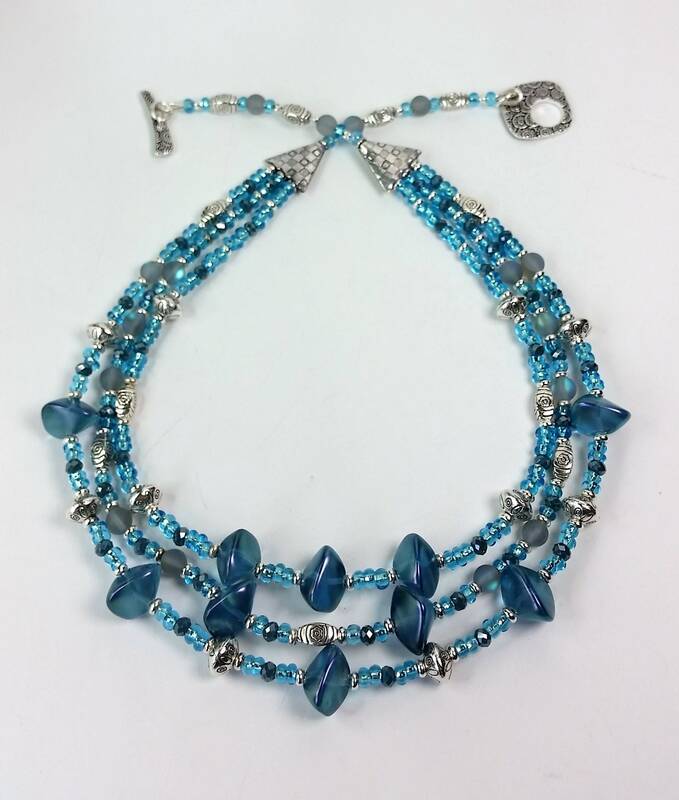 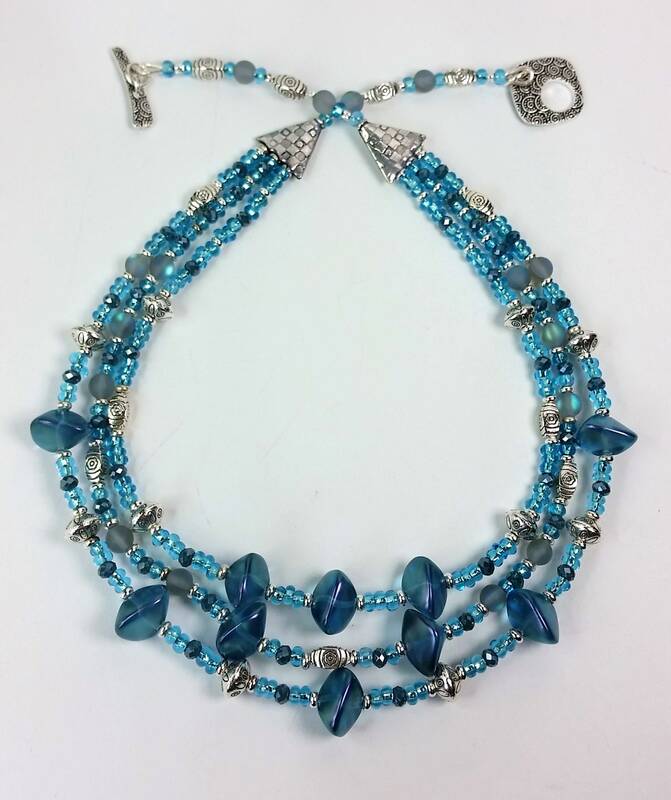 Sparkling aqua colored beads and crystals along with etched silvery metal rondelle and tube beads on three separate strands that come together via a decorative triangular shaped metal connector forming a single strand around the neck. 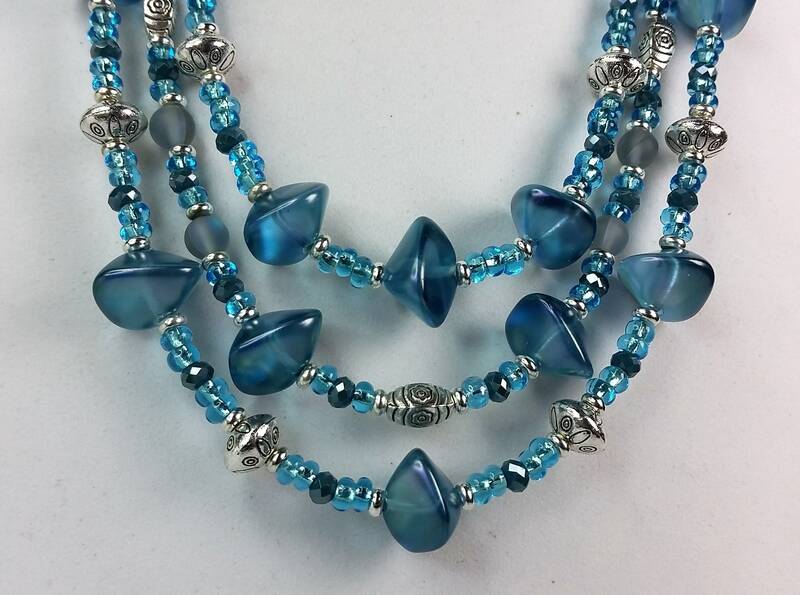 The single strand makes for comfort and easy manipulation of the Tierracast toggle clasp. 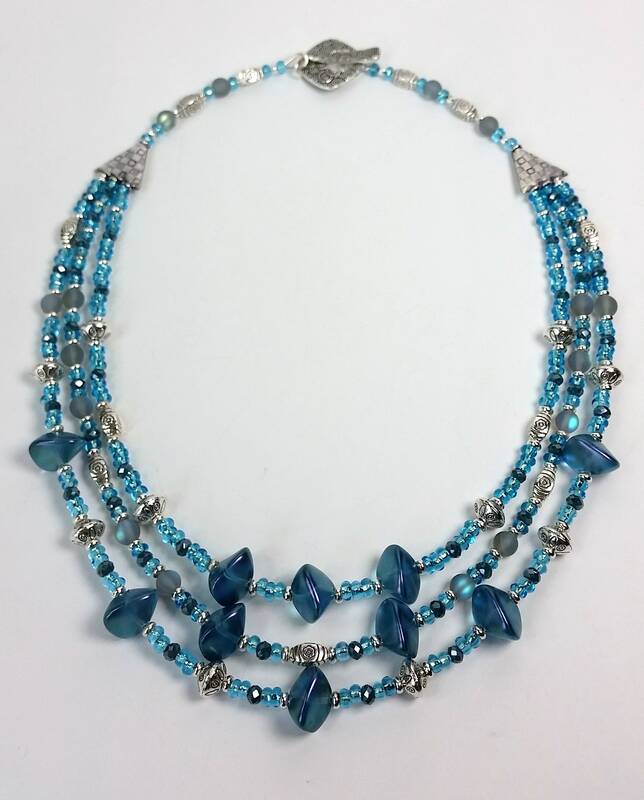 The strands are in graduated lengths, the shortest being approx. 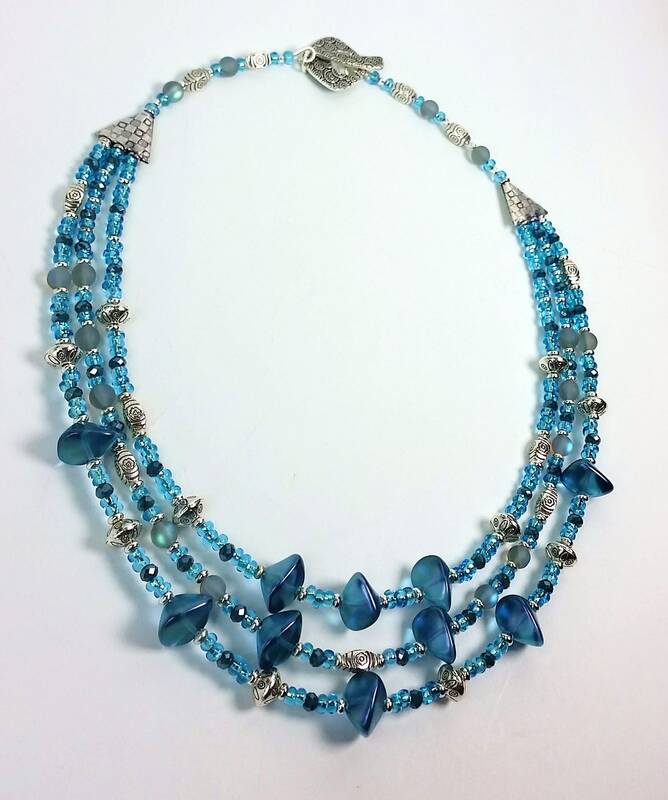 19 inches and the longest about 21 inches. 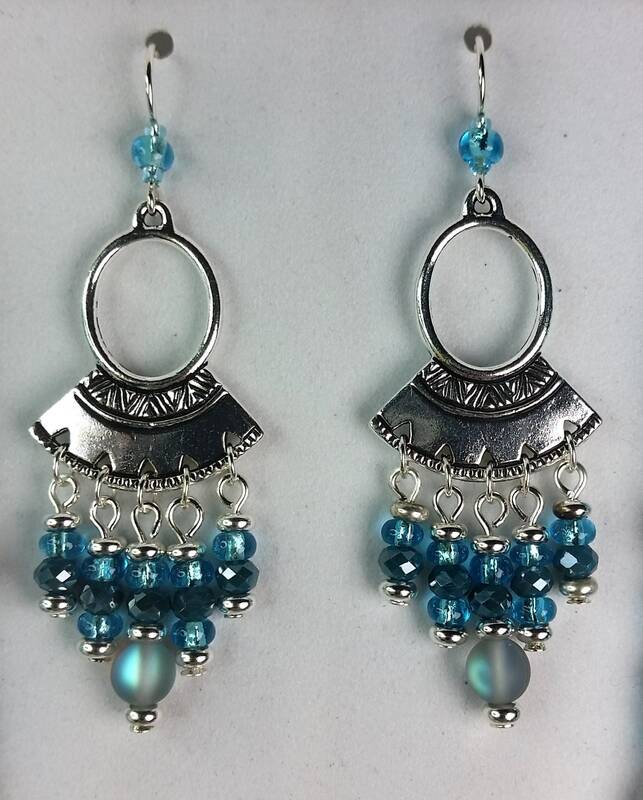 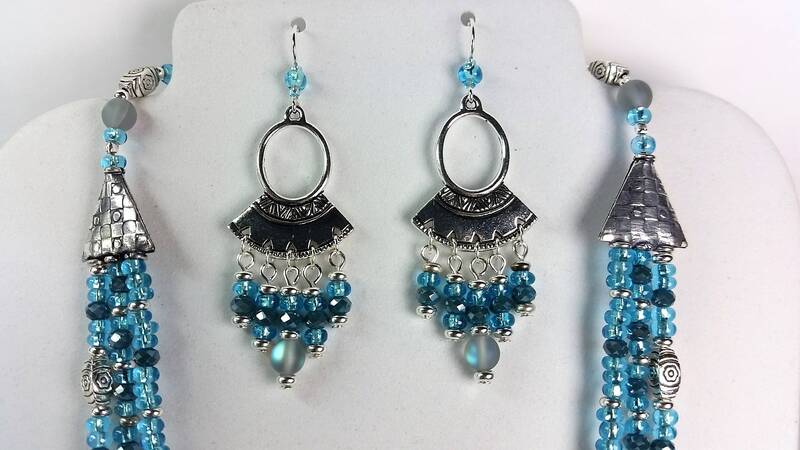 The matching earrings on sterling silver ear wire each have a chandelier with an open oval on top and a solid etched fan shape below with 5 sparkling dangles that match the necklace beads.